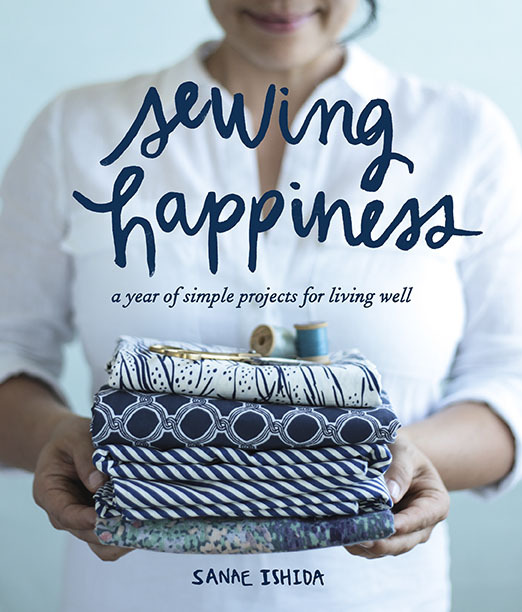 Sewing Happiness :: Book Review and Giveaway! This book is more than a collection of projects. It’s the story of Sanae’s path back to health after a debilitating disease and work exhaustion and the role that sewing played in re-finding her balance and happiness. She honestly stitched her way back to health. The book is an open, honest, raw and vulnerable conversation about how making things can heal us. It also includes season by season projects that accompany Sanae’s journey. It’s so different from other craft books on the market. Of course, the photos are characteristically gorgeous and inspiring. I absorbed this book into my pores in a matter of days. This book speaks my language and my heart so happy. There are so many great projects to pick from and in my standard overly-ambitious mode, I dog-eared most of them. I mean, I can make all the things. Right?! Of course, I only got around to making two of them and I’m already using the heck out of them. I made both a daily planner cover and a work apron adapted from Sanae’s pattern for a journal cover and kitchen apron. I love the original patterns and was so happy they fit exactly what I needed. 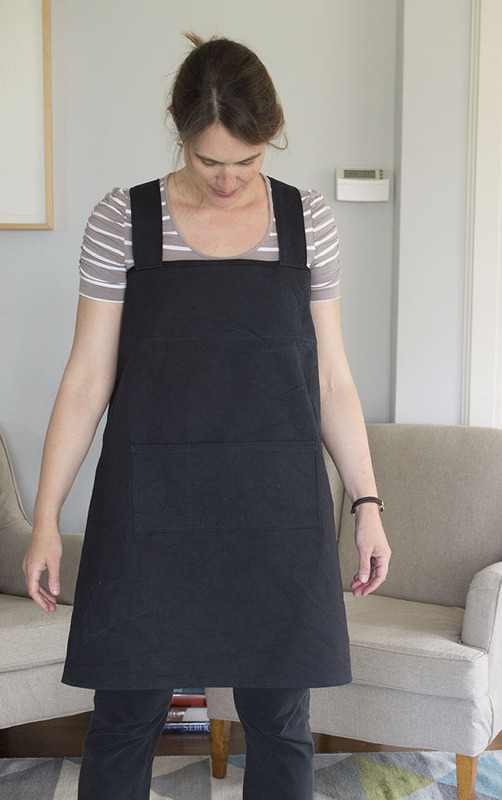 First, I made myself a messy-work apron. 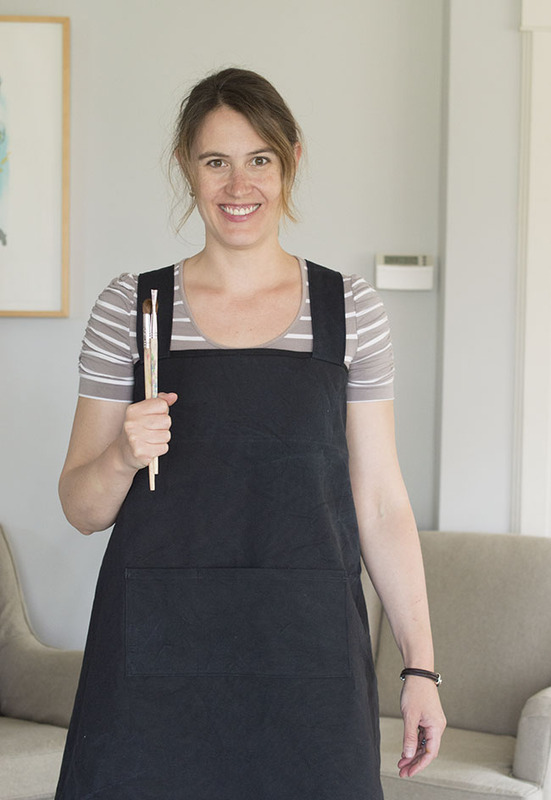 I made my apron in a durable black canvas and plan on wearing it for all of my grungy, dirty, painting projects. It has a crossover back, which means it covers so much of me and I can safely wipe a messy hand while I screen-print or mess around with ink. This sucker is a workhorse of an apron but still so pretty! I adapted the pattern by attaching twill tape at the top hem instead of fabric. Not only do I love twill tape but it saved me from having to sew through a million layers of thick canvas. Also, I am holding and admiring paintbrushes. I know, it’s mildly confusing. Guys. Here is the thing, I am getting into watercolor. I have always blown off watercoloring as either impossible or just overly-precious. My trip to Craftcation, however, completely flipped that on its head. And, I promise a larger conversation about Craftcation soon (talk about honest, raw, vulnerable conversation!) but let me just share that I did so much fabric painting, surface design and watercoloring and it was awesome. I’m digging it. Just an aside: watercoloring is ruined for us by those crappy, hard-to-use paints of our childhood! The ones where you have to rub and rub to get any color! Uck. It’s all about the paint in a tube. Amazing what you can do. Anyway, admire the slight goofy paintbrush pictures. These guys are my new friends. My second project, a cover for my daily calendar, is another bit of beautiful genius in my life. I can’t function without a write-in-a-pen-so-I-remember daily calendar. We have a family google calendar but I need this paper calendar the way I need my left arm. Indispensable. Sadly, the kind of calendar I like for its open pages, removable tabs, and weekly planning view doesn’t come with a very pretty cover. I was tolerating this calendar for months so it makes me so happy to now have it in gorgeous fabric! I would so much rather reach into my bag and touch amazing fabric, anyway. And look at this fabric! It’s so delicious! It’s is Lei Nani from Nani Iro’s 2016 collection. I received it from the always amazing Miss Matatabi. I cannot get over the gorgeous watercolor-like blue background mixed with the white and metallic flowers. Plus, it is a soft double gauze. Such an indulgence for a daily planner, right?! I love it. 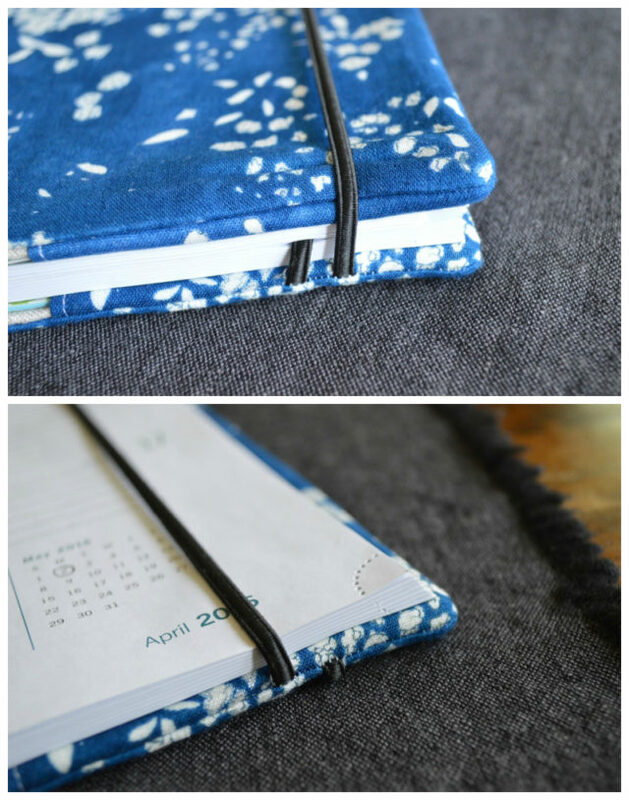 The pattern in book has a lovely elastic strap over the front and I added a second one so I can also easily access the current week. It was super easy but still makes me feel so smart. 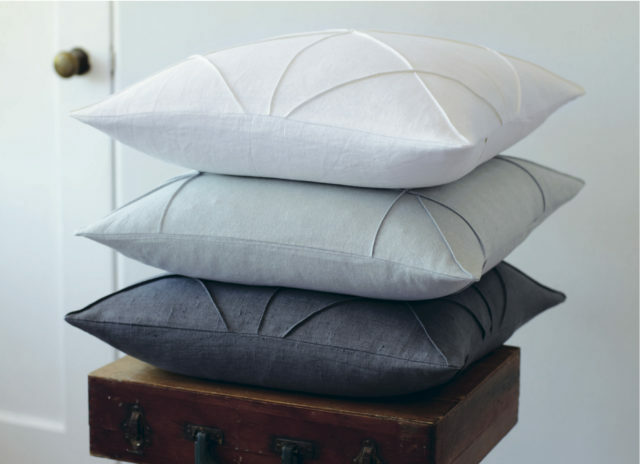 One of the other projects in the book that I think is totally original is an origami pillow. I’m all set to make three or four of these soon. They are so cool and will look perfect in our living room. (This image is from the publisher, by the way. Taken by George Barberis). + $45 gift card for Miss Matatabi!! Choose from her spectacular selection of japanese fabric! Good luck! THIS GIVEAWAY IS NOW CLOSED. RANDOM.ORG CHOSE COMMENT #5. Congratulations Gigi W.!! I will be in touch soon. *This link is an affiliate link. Thanks for your support! Please note: I was given a copy of the book and a yard and a half of fabric to use free of charge. My opinions, however, are always my own. What a wonderful book! There are soooooo many wonderful bloggers out there. Justine at Sew Country Chick is one of my favorites. Oh, I will have to check out that blog…I’ve not heard of it. Thanks! Thanks for entering. I love Tatertots and Jello, too. Oh my goodness, you are seriously the sweetest. It’s nice to know I’m not speaking into a void! I hope you make the apron. It’s already getting so much use for my messy projects. Yes! Both of those blogs are so inspiring and have such human voices. Thanks for the comment. Love the planner cover! I’m a fan of the paper calendar too. My favorite blog is film in the fridge. This is an awesome giveaway! Hey! Congrats #5! You know it was truly a random process since it picked a close friend! P.S. I love Film In the Fridge too. She is so dang talented. I haven’t checked her blog recently, I’m glad for the reminder. I love your taste so I’m sure I will be delighted. So glad you recommended her! I just checked it out, her photos are stunning. Make me want to crochet. Those pillows are right up your fabric-architecture alley, girl! I am really enjoying Sara Curtis at Radiant Home Studio right now. Thank you for the chance to win this beautiful book! Yes! Sara is wonderful. Thanks so much for the comment. I like that Melissa kid. She has everyday things, and crazy things like sparkly leopard dresses! Always a treat! I also like LLadybird. She makes simple makes, and more complicated ones with thorough explanations for my learning curve. She’s also FUNNY! For quilts, who doesn’t love and respect Amanda Jean? I could go on, who could choose one? Oh you! How sweet. I will have to check out your other recommendations, I especially love funny bloggers. Some people can write so well. Ok your calendar cover is beautiful. Favorite blog? Well I love yours!! Lotta Jansdotter is another fav. Thanks for a chance, this book looks lovely! You are the best! I love Lotta, too. We should do a workshop of hers together, sometime. It’s so close! I love Lucky Lucille and Lladybird for sewing and Wendy Knits for knitting. Those are the only crafty things I can do right now. I love your book cover! Thanks Juliana! Great recommendations, I can’t wait to check them out. LLadybird was recommended twice, so interesting! Back in the day I would have said How About Orange…but lately it’s been Seamstress Erin! P.S. I managed to not upload my comment the first time somehow…so if shows up twice in slightly altered form, apologies! Or heavens forbid 6 or 7 times! I punched that reload button good. Ha! This cracked me up. Yes, the reload button can be obnoxious sometimes. The comment submission can be….annoying. Thanks for the watercoloring tips. I’m loving it so much! Mixing the colors is so difficult but a very cool process. Thanks for the blog tips. Seamstress Erin looks very cool, my kind of chick! Thanks for the comment, Lesley. I will check that out! I love Imaginegnats and Lucky Lucille! So much great apparel inspiration on those 2 blogs. Thanks for the giveaway! I’d love to win! I was just on Lucky Lucille for the first time recently! You are right, it’s great! Imagine Gnats is a long-time love of mine as well. Thanks for the comment. I love Stitched in Color. And I am on the hunt for some pyrography blogs as I am just learning how to do this craft as well. I read Sew4home for small ideas … but I’ve been sewing for so long, and some of the things blogged about are so basic ….or focused on dresses for little girls. Lately, though, I have been reading many historical reproduction blogs for tips, and pattern advice. I have discovered quilting stores for nice cotton – as the choice in central NJ is poor at best. I miss my daily commute walks down 40th St when the fabric stores were street level! Hey! I’m in NJ, too! Did you know that? Have you wandered into Pennington Quilt Works, they are kind of in Central Jersey. Up north, of course, is the amazing Rock Paper Scissors. Oooh I’ve been stalking Miss Matabi forever! I love Red Pepper Quilts blog…she has such an amazing eye for color and design! Thanks for the chance to win this awesome book! Ooh agreed! Red Pepper is amazing. And, who isn’t stalking Miss Matatabi…right?! 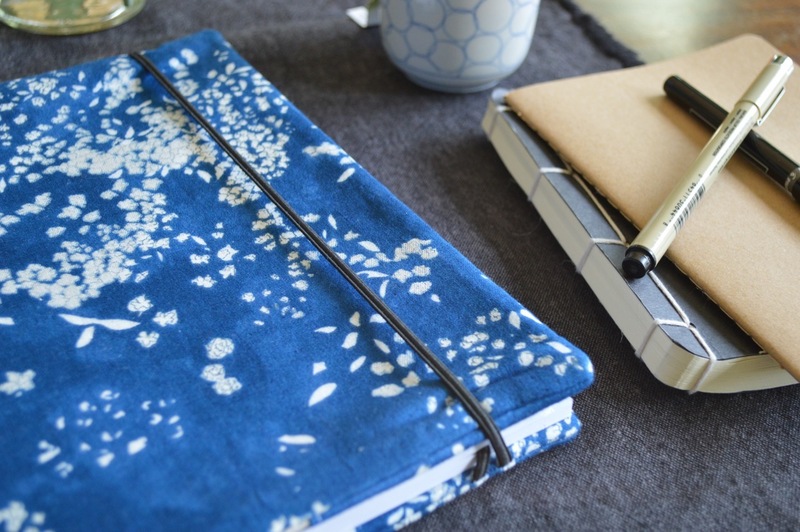 Awesome journal cover—-I’m obsessed with the spring Nano Iro line. I mostly follow crafters on Instagram—you, @sevenpretty, @sugarhouseworkshop, my local quilt shop, many others. Thanks for the chance to win! Hannah, the spring Nani Iro is SO GOOD! If you are going to obsess, do it over the good stuff. Thanks for the comment! Hello friend! So nice to hear your voice! Amy and Erin are landmarks. Absolutely. I hope you are able to jump back in to making soon, I miss you! Thanks! I will have to check that out! Sounds like a great book! I follow sewing blogs more than crafting blogs (Sew Busy Lizzy and Ginger Makes are faves). ABay Area Sewist member has baking/crafting blog I like so I’ll pick that one as my fave craft blog – Baking Making and Crafting. I will definitely check these out, thanks for the recommendations! Sanae is my absolute favourite, but I also love Craftiness is not Optional and Soulemama. The internet provided such a wonderful space for creative inspiration and friendships, what a delight! I like Crafty Gemini. But there are many others I like too. I love Miis Matabi. Thank you for sharing! I keep hearing about Crafty Gemini! Gotta check that out. Thanks! So many great crafty blogs! For style inspiration skirt as top is probably my fave, and oonaballoona makes me laugh the hardest. Yes! Yes to both of them! Oonaballoona is so funny, and gob-smackingly good at sewing. Skirt as a top is so great! Love them both. Oooh I want this book! I love her classic style. Simple yet elegant. 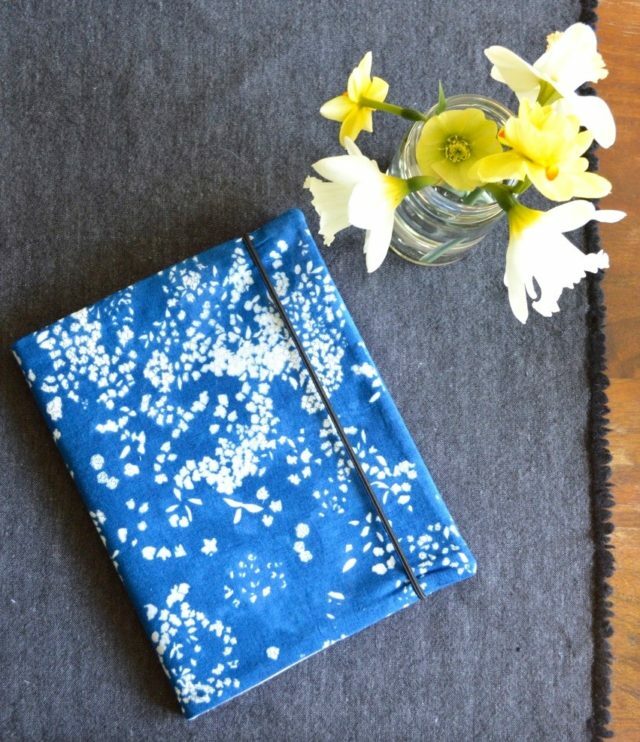 My fav crafty blogger is SewFearless. Her blog SewFearless.com is magical and her clothing, crafts and projects are family friendly too. I can’t believe I’ve never seen Sew Fearless. Gotta get on that, apparently! Thanks for the comment. So sweet! 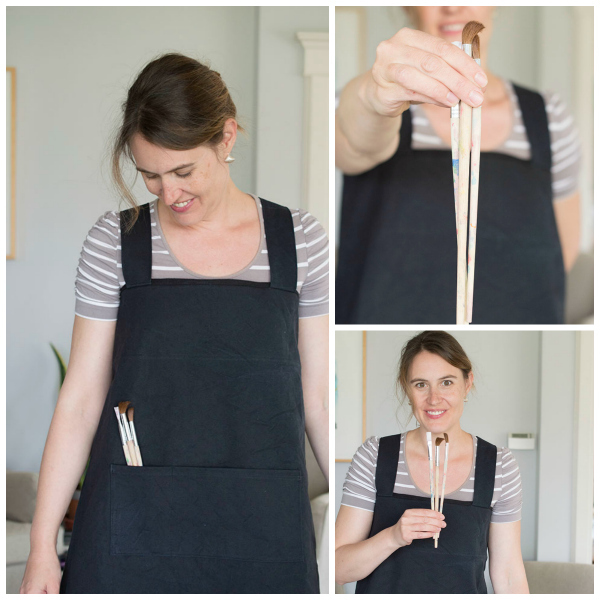 You are going to love this…I actually sat and chatted with Jen Hewett at Craftcation. She is even more lovely in person and so talented and inspired. I felt so lucky. Love her!